AMERICAN FOOTBALL: Dallas Cowboys fans have given thanks as their team extended their record winning streak on Thanksgiving Day. The NFC East leaders notched their 10th straight win with a 31-26 triumph over the Washington Redskins. 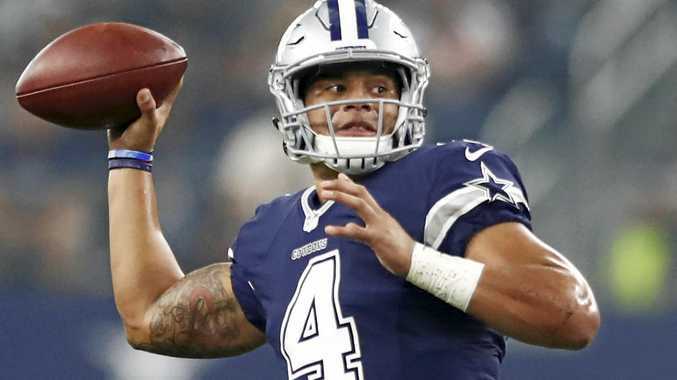 Rookie quarterback Dak Prescott had two touchdowns, with Ezekiel Elliott running in two more. Dallas's start to the 2016-17 campaign represents a stark contrast to the 4-12 record it posted a season ago.